SL is present. Thus, possible losses are limited. No quick execution required. Slips are not terrible. It can work on almost any VPS even with a 1000 ms ping. Not sensitive to high spread. 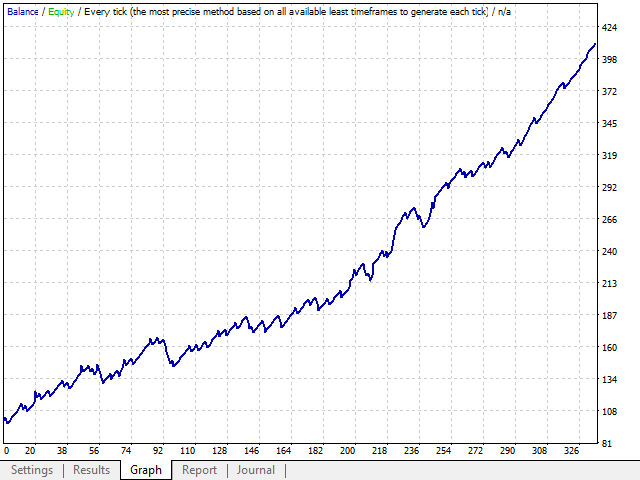 There is no big influence of the spread value on the trading result. 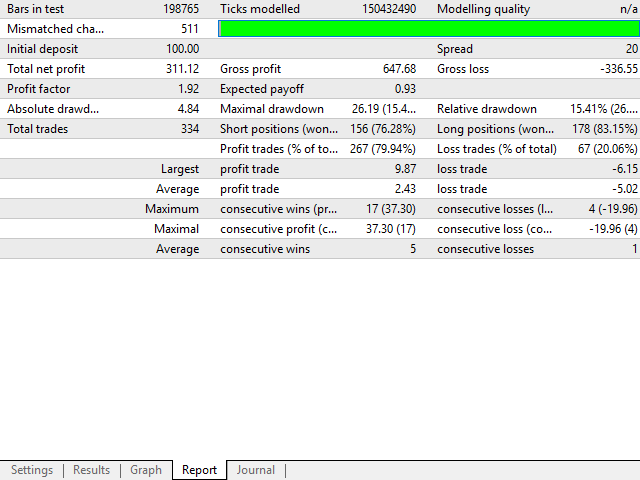 I recommend testing the advisor on a long time interval, on the history in the terminal mt4, before using it on real accounts. Be especially careful when choosing trading time settings. Time on the servers of different brokers may be different. You can also use the default settings. 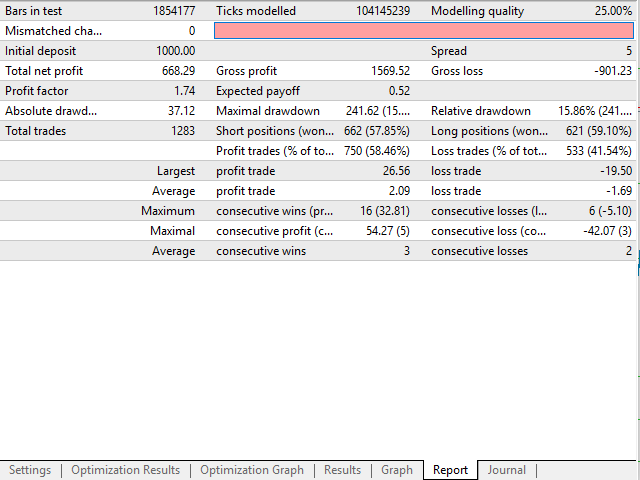 Please observe the risk management, do not overestimate the volume relative to your trading capital. 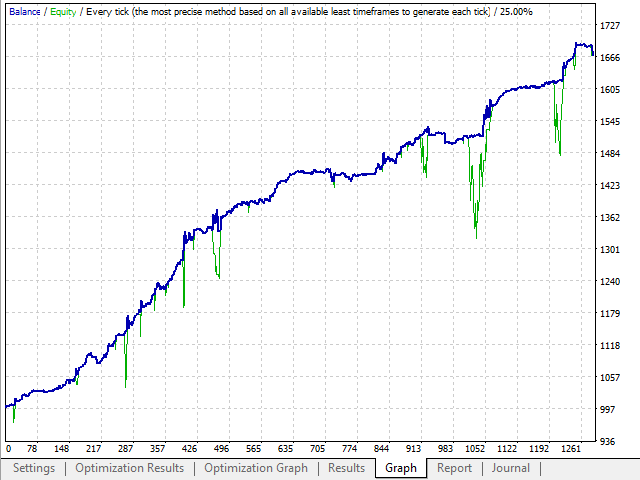 Total Loss - stop loss is a series of orders opened in one direction.